An Post in your pocket in just a few taps. Track an item from acceptance to delivery. Calculate the postage. Find a Post Office. Verify a postal address before sending mail. Check the exchange rate from Euro to Sterling or Dollars – 0% commission at your Local Post Office. 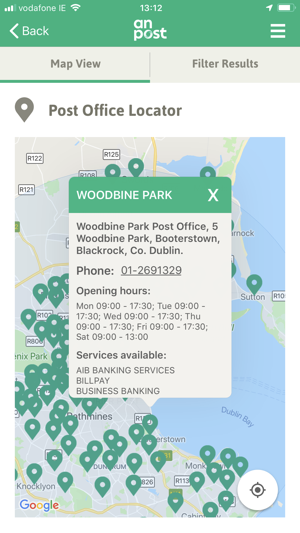 The An Post Mobile App is the quick and easy way to access our most popular tools and services on your handset, when you’re on the go. 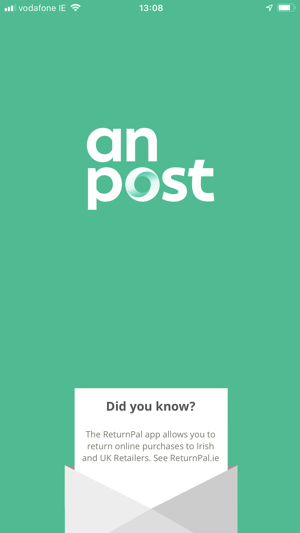 DOWNLOAD AN POST APP - IT’S FREE! Track the progress of an item from acceptance to delivery. 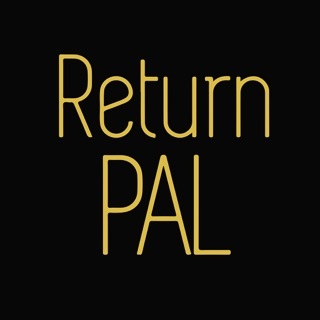 Get an email notification when your item has been delivered. Request a proof of delivery record. You can also Track your Passport application. 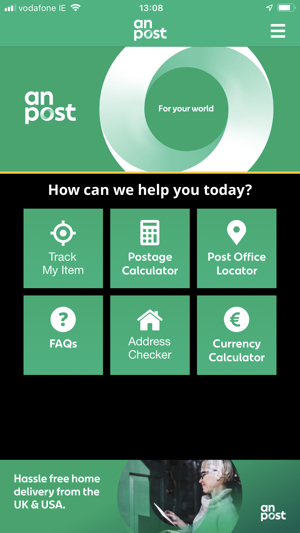 Calculate your postage costs for anything from a postcard to a parcel. Use the size guide for maximum dimensions and weight. View a list of prohibited items. Find the nearest Post Office to you, no matter where you are in the country. 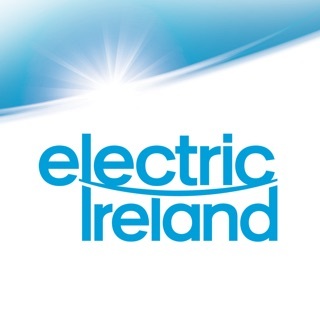 Get details on the opening times, contact information and services available. 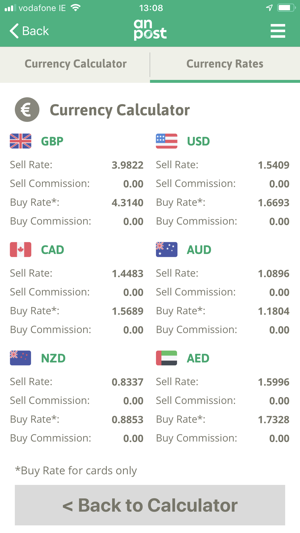 Convert to and from Euro for GBP, USD, CAD/AUD Dollars. 0% Commission at your local Post Office. 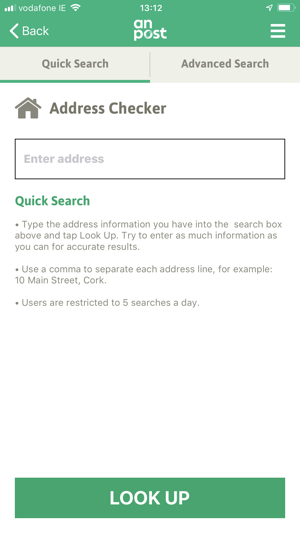 Input the details you have and get the complete address information. Use our handy FAQ for popular queries. Contact Customer Service through the query forms. 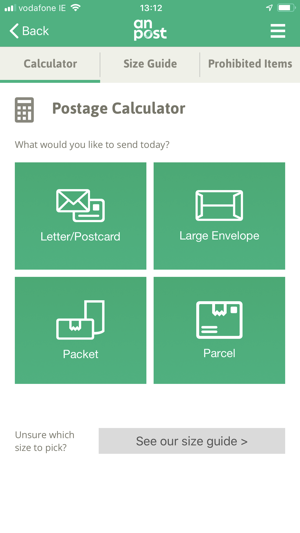 [+] DOWNLOAD AN POST MOBILE APP – IT’S FREE! 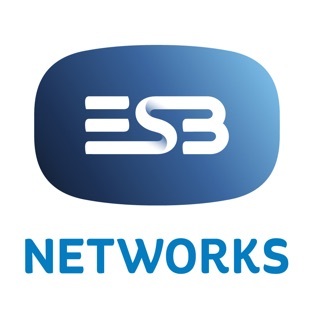 An Post Mobile App is available for iPod Touch and iPhone smartphones. What a badly thought out app!! It forgets tracking codes of items undelivered??? Why would an app you use on your phone do that ? What do an post think we want to type tracking numbers in each time?? 1 star not even worth it! This app used to be a good app once, now it’s useless. 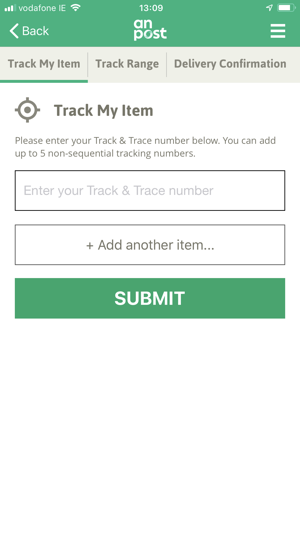 You can’t save a tracking number any longer, need to press ten buttons to get anywhere before I even use the app. Anpost going downhill, just like their prices and bad delivery services!